The new standards call for kids to read books that ‘frustrate’ them? Is this a good idea? If so, how do we teach this? Best practices for teaching reading skills is ever evolving in the world of education. In 1967, a heavily phonetic approach instead of what was considered the “look-say” method of learning words was thought to be the best method. In 1976, standards shifted to what was called the “whole-language” approach, combining knowledge of language, letters, and the meaning to make sense of text. In 2007, another argument appeared suggesting that reading instruction should balance strong phonetic components and an approach focused on meaning. Following, Marie Clay, Irene Fountas, and Gay Su Pinnell, promoted the idea of guided reading through small group instruction led by the classroom teachers. This approach focuses on children reading a book at their instructional level in order to gain accuracy, fluency, and comprehension while the instructor provides problem-solving challenges. With students reading leveled books, they extend their knowledge and skill through just the right mixture of support and challenge to grow as a reader. When new standards were introduced along with increasing text complexity being forced upon students, the hairs on my back stood to attention. Immediately, I fought this information. You see, I’ve been trained and have always believed that the way to cultivate readers is by placing them with instructional level text and independent level text. I would read to my students in above grade level text to expose them to higher vocabulary, text structures, challenging texts, etc. After the read aloud activity or the mini-lesson, they would receive work in either instructional level text or independent level text. Did I see growth and improvements? Yes, I sure did. After reading the arguments and research behind the idea of close reading, text complexity, and spending some time reflecting upon what these literacy experts were saying, I began to shift my thinking on this. Isn’t that what we should constantly be doing in our practice as teachers? Continuing to be reflective and not dismiss an idea too quickly before giving it the appropriate amount of time to sink in. In reality, I was growing readers, but the bar kept getting raised as we advanced through the school year, and I could rarely get my struggling students caught up … There was still a gap, which frustrated the heck out of me. The more I began to reflect on the “why’s” to putting complex texts in front of students; the more I understood it. If I never put complex texts in front of my students, or gave them tools to productively struggle through in order for them to extract information out of the text, then I’ve set them up for failure. Douglas Fisher and Nancy Frey wrote an article titled, “Scaffolded Reading Instruction of Content-Area Texts” (The Reading Teacher 67(5) pp 347-351). They are on the same island of thinking as Tim Rasinski. They state, “…readers need a host of experiences with rich informational texts and a sliding scale of scaffolds and supports to access them.” I believe students can learn from complex texts and should be exposed to them, but not without teachers skillfully and consistently scaffolding students’ interactions with these texts. What Tim Shanahan and others are promoting is providing students with additional support and multiple opportunities to read the text. Then, we can use more challenging texts to instruct them. That being said, you certainly don’t assign challenging text as homework, and you must provide support in the form of scaffolding. 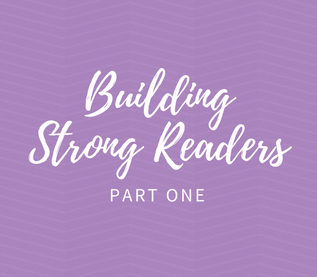 Stay tuned next week for Part Two of Building Strong Readers. In the meantime, visit my website for more information about Close Reading & Text-Dependent Questioning!